OPTIMALER GRIP FÜR DIE TRIGGER DEINES CONTROLLERS! Gaming gets intense. There's nothing worse than preparing yourself to score that vital goal, finishing off that end-of-level boss or taking your friend down with a headshot only to be on the receiving end because your finger slipped off the trigger! Time to get traction on the action! 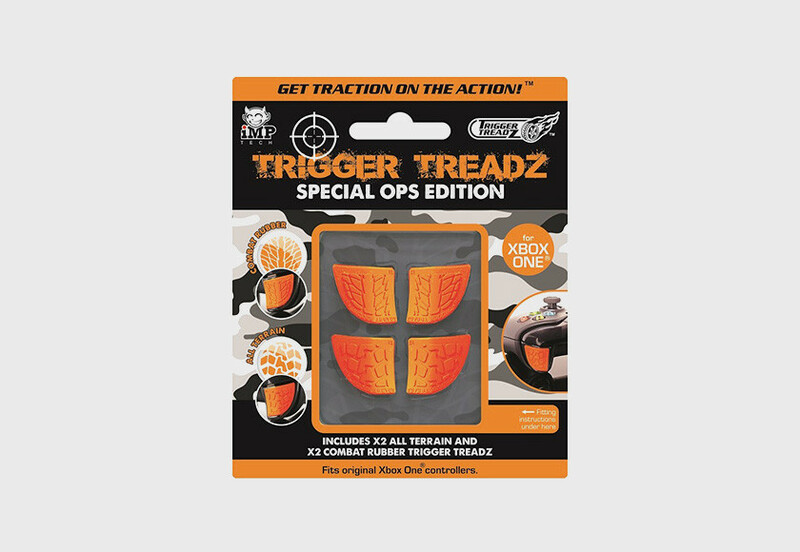 Trigger Treadz™ provide increased comfort and grip for your original gaming controllers. Each pack contains 2 designs; Racing Rubber and All Terrain. Choose your grips for your preferred playing style or mix it up!